She's a rock. She's a comfy cushion. She's a nurse. She's a psychic. She's a taxi driver. She's a coach. She's your champion and your defender. Call her Mom, Mama, Ma, Mommy or Mother. What really matters is the "call" or a visit, a hug and a big I LOVE YOU. Moms are funny that way. It's nice to get gifts or flowers or dinner out, but her child's face or voice can bring far more joy than anyone can know, except if you're a Mom. 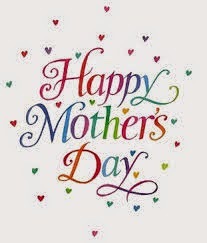 Beauty Care Choices honors all Mothers and wishes them a day of joy!